Do you have a puppy that inadvertently barks at people wearing hats or helmets? Have you met a puppy who is afraid of household items like brooms and vacuum cleaners? These cases may sound very different but they all stem from incomplete socialization. An often overlooked but very important part of your puppy’s upbringing is CSP, short for Critical Socialization Period. Most of us consider this an optional training for our puppies. 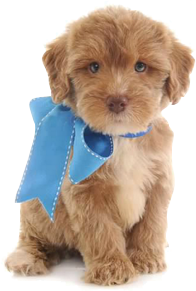 However, this is a limited time in your puppy’s development and starts from 3 to 14 weeks. During this time, puppies are primed for bonding with other dogs, animals and people, for learning that objects and environments are safe, and for learning what commands, cues and signals mean. Bear in mind that socialization is not puppy training. You can train your puppy or dog at any time. Critical socialization period, on the other hand, is limited time in your pet’s life that you cannot go back to. Anything they experience in a positive way is something they’ll be comfortable with for the rest of their lives. Conversely, try to minimize any adverse conditioning as this will also stay with the puppy permanently. We advise new puppy owners to create a checklist of experiences and assign a value of high, medium or low on every item. Rank the items on the checklist according to how frequently your puppy will have the interaction. The ones with “high” values, for example, should be interactions your puppy should absolutely have. Depending on your location and environment, these are regular, everyday activities such as being in a car or meeting strangers or guests. Going through a socialization regimen when your puppy is 3 to 14 weeks of age could spell the difference between a happy, well-adjusted pet to one who is fearful of people, objects and environments. Should I Choose a Male or a Female Puppy?